Common reed grass (often referred to as Phragmites) is an invasive species of wetlands and the Great Lakes coastal shoreline. Phragmites creates tall, dense stands that crowd out native plants, degrade wildlife habitat, block shoreline views, and reduce access for swimming, fishing, and hunting. The dense, dry plant material also poses a fire hazard. Phragmites is the tallest wetland grass in Wisconsin, growing upwards of 14 feet. Its seed heads are visible August to September, and it has a round stem, long, wide leaves, and a prominent plume-like seed head that is whitish to purplish in color. 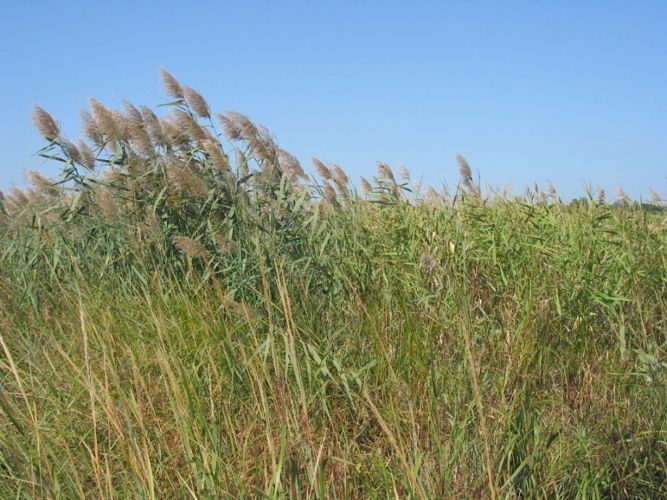 Be aware, there is a variety of Phragmites native to Wisconsin, recognizable by forming less dense patches (you can generally see through the stand) and flowering earlier (July to August). Phragmites is common in disturbed wetlands and other areas including roadside ditches. It tolerates a wide variety of soil types and moistures, thriving in marshes, wet shores, tamarack bogs, and open water up to six feet deep. 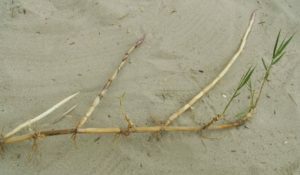 Once Phragmites establishes, patches expand quickly through underground growth. It establishes when a plant or root fragment is broken off, transported, and “planted” in a new area with open soil. A combination of burning and herbiciding over several years can be effective at controlling Phragmites. 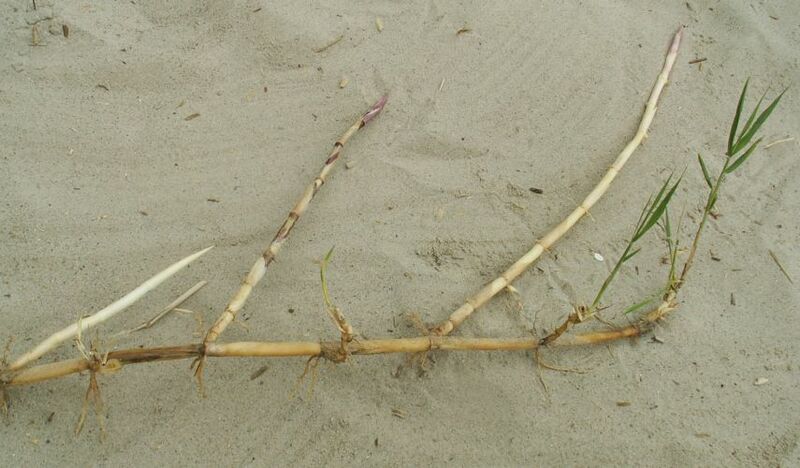 Small patches of invasive Phragmites can be controlled using the bundle, cut, and chemical treatment method. The Wisconsin Department of Natural Resources has teamed up with federal agencies, local organizations, and private landowners to take a regional approach to Phragmities control to make control both more effective and more affordable. More detailed information on Phragmites management can be found in a publication by the Michigan Department of Environmental Quality, A Landowner’s Guide to Phragmites Control, and on the Wisconsin Horticulture website of UW-Extension Cooperative Extension program. You may want to seek help from a wetland management professional if you have a large infestation. You can also learn more about the control and management of invasive Phragmites from this publication produced by Michigan Department of Environmental Quality.